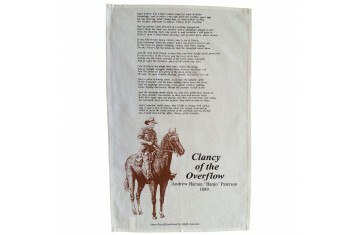 A tea towel featuring the poem Clancy of the Overflow by Andrew Barton "Banjo" Paterson with illustration. Size: 75 x 48 cm. 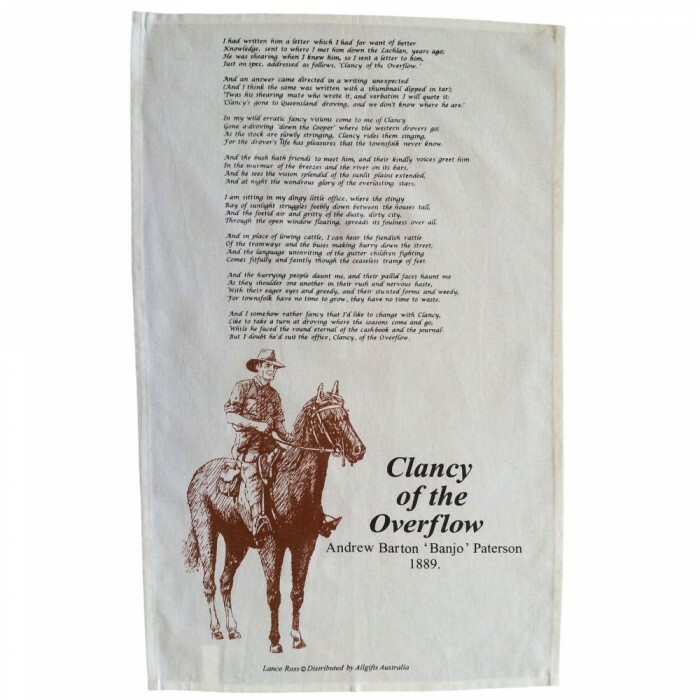 Just on spec, addressed as follows, “Clancy, of The Overflow”. But I doubt he’d suit the office, Clancy, of The Overflow.